As a first step on our journey, we recently conducted an international eDelphi exercise and a consensus meeting among 410 dermatologists, nurses, non-clinical researchers involved in AE, pharmaceutical industry representatives, regulatory body representatives and patients from 36 countries, including members of the International Eczema Council (IEC), the European Taskforce for Atopic Dermatitis (ETFAD), and the International Society for Atopic Dermatitis (ISAD). 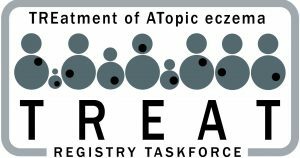 The study identified a final core set containing 19 domains with 69 domain items to be captured by national AE systemic therapy registries (Gerbens et al., 2017; Gerbens et al., 2018). Further work has been performed to define how these 68 domains and domain items should be measured. Three round table consensus meetings have taken place in London (27th March 2017), Amsterdam (15th May 2017) and Nantes (12th June 2017). The paper summarising the results will be published soon. This short web-based survey aims to collect data on current therapeutic approaches for adult patients with moderate-to-severe AE and factors that influence the choice of therapy. The survey will complement our previous European and North American surveys (Proudfoot et al., 2013; Taylor et al., 2016; Totri et al., 2017). See Spuls et al., 2017. Several national registries are currently ongoing or in the development phase. The best-practice guidelines of the European Commission funded PAtient REgistries iNiTiative joint action (PARENT JA) will be taken into account (Zaletel and Kralj, 2015). Eligible patients will be children and adults diagnosed with AE who are starting on photo- or systemic immuno-modulatory therapy (conventional immuno-suppressive therapies as well as new biologics), taking into account the national and local eligibility criteria for these specific therapies. Patients receiving intensive topical therapy or screen failures for systemic therapy may also be included. Patients will be followed independently of stopping therapy or subsequent switch to other therapies.